My Latest Finds at IKEA! 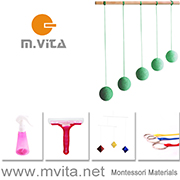 Montessori Home Edition. It's been a long time since I've written an Ikea post! 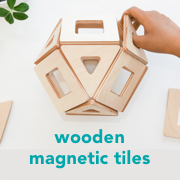 We know Ikea has a lot of products suitable for a Montessori home. They have children's furniture, art supplies and so much more. Here are a few new, and new-to-me things I'm currently loving at Ikea! PLEJA Wire Basket - we have a couple of these baskets, they are so useful as medium size caddies around the home. I like them for nappy change areas, art supplies and children's gardening supplies. LUSTIGT Arts and Craft Storage Caddy - I love that the bottom tray can fit A4 size paper, this is perfect for storing children's art and craft supplies, a place for everything and everything in its place! LUSTIGT Paint Roller - we need more than one, perhaps one for each colour? These are great for toddler painting activities. LUSTIGT Weaving Loom - I'm thinking this will be perfect outside for some nature weaving, it's much larger than it looks! LUSTIGT Origami Paper - you can never have enough. ÖRTFYLLD Spice Jars - always useful, perhaps for storage and display of small craft items (buttons, googly eyes). DJUNGELSKOG Matching Card Game - for memory or matching work. SKOGSLIV Matching Card Game - also for memory or matching work. YPPERLIG Child's Table with Benches - robust, easy to clean and looks good! I really like the bench seating. SKÅDIS Pegboard - I'm updating Caspar desk/workstation and I think this will be perfect for keeping his desk clear and clutter free. JÄLL Tabletop Ironing Board - when my children iron they use the smaller, tabletop ironing board. IKEA 356+ Jars - I love all of these new jars and their shapes. Perfect for plants, storage or science experiments. RISATORP Utility Cart - this isn't new but it's the first time I have seen it. Would work well for arts, or for general children's storage. KARLSNÄS Frame - this isn't new but I haven't seen it before, good for displaying small pieces of children's artwork or photographs. I love the minimal design, this would look lovely on the child's shelves. BROR Utility Cart - this is totally my style, Ikea calls it 'heavy duty', I'm loving it for an older child's (perhaps 9yrs+) science centre, children's resource library, or wood-working area. Loving Ikea Children's Tables - FLISAT Children's Desk and Table. My new Ikea favourite - the Plega Basket.